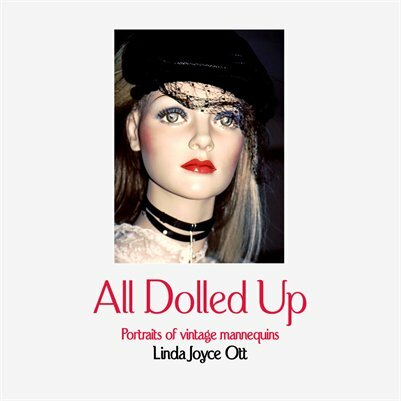 Award-winning Canadian photographer, Linda Joyce Ott, took these 38 art photographs of vintage mannequins in store windows, flea markets, and museums in Ontario, Quebec and British Columbia. “My fascination with mannequins began, like many passions, in childhood with my first and only doll. She was a walking doll because she had jointed legs. I named her Nancy and when I taught in my imaginary school, Nancy was the only real pupil. In adolescence, as a tall and gangly girl, I admired the glamorous models I saw in Seventeen and Vogue magazines.